W. Bro. George Richards was given his patent as the first D.G.M. of the new District as from 1st January, 1895. The District was constituted on 30th April, 1895 at the new Masonic Temple in Jeppe Street. An unusual feature was that officers and members of sister constitutions were rigidly excluded so that the function was not graced with the numbers which might otherwise have been present. There were however visiting English Freemasons from the Orange Free State, Natal and the Cape Colony. As the oldest Lodge in the new District, the Transvaal Lodge, No. 1747 was honoured by the proceedings being conducted under its banner and, moreover, the W.M. of that Lodge being unavoidably absent, the I.P.M. W. Bro. T. W. Coles opened the business of the meeting with W. Bros. F. Strange and H. Strange as I.P.M. and S.W. respectively, and the current J.W. of the Transvaal Lodge, No. 1747 filling the principal offices. Once the Lodge was Raised to the Third Degree, the D.D.G.M. of the Colony of Natal who was the acting D.G.M. of Natal, W. Bro. Wesley Francis, was received with the honours due to his rank, after which he took the Chair. In his opening address he explained the purpose of the gathering and then invited W. Bro. J. Da Silva to read the Patent from United Grand Lodge which constituted the new District and appointed W. Bro. G. Richards as the first D.G.M. Wesley Francis then delivered his major address to the meeting in which he outlined the advantages which would accrue to the brethren from the new organisation, and commended it to their support. He then vacated the Chair to which the Immediate Past Master (I.P.M.) of the Transvaal Lodge, No. 1747 returned to close the Lodge. The D.D.G.M. of Natal immediately resumed the occupancy of the Chair and formally obligated W. Bro. G. Richards as the first D.G.M. of the new District, after which he Installed him in the Chair. Richards then invested W. Bro. H. E. F. Pistorius as his D.D.G.M. and followed this by investing his first team of District Grand Lodge officers after which he addressed the meeting in "an oration of surpassing eloquence, in a most impressive manner". A banquet followed the meeting during which the usual toasts were proposed and drunk, thus completing a most enjoyable occasion which terminated about one o'clock in the morning." A short, stocky man with exceptional business acumen, George Richards was born of humble parents at Treswithian in Cornwall on November 24 1847. His father was a tin miner. Having some knowledge of the mining industry, the young Richards emigrated to South Africa around 1870, no doubt attracted, as were thousands from all parts of the world, to the new diamond diggings at Colesberg Kopje, later Kimberley. Richards was described as a merchant on his initiation, and is believed to have acted as a general supplier and money-lender to diggers. He took to Freemasonry with the same energy he displayed in business. After being initiated in August, 1876, he was passed in October and raised a month later, being installed Master in 1885 and finally resigning in 1894. He also made connections with Port Elizabeth, becoming a joining member of Lodge of Goodwill No 711 in 1878, his occupation being given as 'clerk'. But his interests remained focused on Kimberley and its masonic circles. The Kimberley masonic centre was opened on August 15, 1889. A few days later, Richards returned to Johannesburg where he had taken up the post of managing director of the Langlaagte Company offered to him by Joseph Robinson of the Robinson Group of mines. Mr Aburrow was both an engineer and an architect, a combination that was to benefit the skyline of the new, vibrant Johannesburg. Born in 1852 at Hambleton, in Hampshire he was educated at Brighton Grammar School and at the age of 16, was articled to the Town Engineer of Ryde on the Isle of Wight, where he was involved in a comprehensive range of engineering and civil engineering projects. In 1877 he was initiated in the East Medina Lodge No 175 in Ryde. Some two years later he was attracted to the Kimberley diamond finds and came to that area as a surveyor and engineer with a diamond company. In 1889 he ventured north to Johannesburg where he set up practice as a civil engineer. Aburrow 's membership of societies and clubs point to his full participation in the life of the community. His clubs included the New, Turf, and Wanderers while he was a member of the Institute of Civil Engineers in Britain and the Society of Architects, and a fellow of the Geological Society. At a special District Grand Lodge meeting on July 31 1905 Charles Aburrow was installed as District Grand Master by RW Bro Wesley Francis, District Grand master, Natal. Aburrow 's patent was dated May 5 1905. He had succeeded to command of 38 lodges and 2 000 members and also inherited a number of problems: a countrywide depression with accompanying loss of members: animosities created in the District through Richards' political role in the Jameson Raid events, and the need for a home for the District. In his 17 years as District Grand Master he installed more than 400 brethren as Masters of their lodges plus other District and Provincial Grand Masters in South Africa. His worth as an outstanding freemason was recognised on his retirement by Grand Lodge which appointed him to the Grand Lodge Board of General Purposes - its executive body - and to the Committee of the Masonic Hospital in London as representative of the Transvaal District Grand Lodge. The District heard from Aburrow in 1928 when he wrote to say that he had had serious trouble with his eyes but an operation had improved them. With his letter he enclosed the patent of his appointment as District Grand Master for inclusion in the District archives. Aged 80, he died at his home in Lewes, Sussex on February 16 1932. The early 1920s were turbulent times for the Transvaal District's new leader, Waldie Peirson. He had to cope with the serious effects of the world depression on lodge membership, and the impact of the mine disturbances on the Reef. The earlier steady increase in membership of the District had coincided with the economic upturn which lasted from mid-1919 to July 1920. Then came the world-wide depression that closely affected the District at the end of Aburrow's term of office. It brought bankruptcies and wage cuts. The falling gold price forced the Transvaal Chamber of Mines to propose reductions in wages and to recommend that more Hacks be employed to cut costs. This brought protests from white miners who came out on strike in January 1922 and after clashes with the police, turned to open rebellion. The Rand became the scene of robbery, arson and murder. The Premier, General Smuts, declared martial law and with the army and air force crushed the rebellion in which 230 died. The miners' efforts to preserve their jobs as an all-white domain failed. The disturbance brought the gold mines to a standstill for three months, caused heavy financial losses and put 10 000 out of work. In these times, the number of candidates for Freemasonry decreased while many masons resigned or were excluded for non-payment of dues. The civic disorder became the inheritance of Joseph Waldie Peirson who was installed by RW Bro Daniel Sanders, the District Grand Master of Natal on May 12 1923. In the profane world, he was a barrister at law in the Inner Temple, Advocate of the Supreme Court Transvaal, Chancellor of the Diocese of Pretoria and later Johannesburg and member of the Provincial Synod. Born in Darlington, Durham in 1865, he was taken to Natal in 1877, became a mason there in the Natalia Lodge No 1665 in 1887, and moved to the Transvaal in 1889. He was a member of the Geological Society of South Africa, of the Transvaal branch of the Society of Accountants of England and Wales, and President of the Institute of Accountants of the South African Republic. He belonged to the Rand, New, Athenaeum, Wanderers, Turf and Jockey Clubs. In the masonic world he was no less active. He was Master of lodges in three constitutions - English, Netherlandic and French - and a founder member of six Rand lodges. In the additional degrees he also held high positions, including District Grand Mastership of the Mark and the 33° in the Ancient and Accepted Rite. On assuming office as District Grand Master, he faced a declining membership in the District. The numbers of those in good standing dropped from 2619 in 1922 to 2472 in 1923 with 610 in arrears. With the depression came a bitter drought, another blow to the economy. 'The drought is having disastrous results' the District Grand Master said at his first half-yearly communication on October 20 1923. He presided at his first and last annual meeting in April 1924 where it was remarked that the District covered 110 000 square miles and was 'nearly as large as England, Scotland and Ireland combined'. A portrait of the District Grand Master hangs with the others in Freemasons' Hall, Johannesburg. This rotund cleanshaven man of the 'Bench and Bar' had a very short time in his high masonic office. He died on July 22 1924 - three months after his first annual district meeting - while on holiday in Britain. At a memorial service held in August, W Bro Burt Andrews, the Deputy District Grand Master, said of Waldie Peirson he was a 'charming personality ... a good man and a good freemason'. He had a high moral character and a strong devotion to Freemasonry. He had had 37 years in the Craft. The success of the Educational Institution was mainly due to Peirson's 'heart and genius'. More personal was the tribute paid by Corona Lodge No 2731 on his death for his 'great and outstanding personal and masonic qualities'. He was a charter member of that Lodge. Born in England in 1868 George Samuel Burt Andrews came to Johannesburg in 1890. He wasted little time in becoming a freemason, being initiated in Heidelberg Lodge No 2354 in 1891. G S and Mrs Burt Andrews were well known and respected in social circles. The widespread depression slowed down the pace of expansion and reached into Freemasonry to wreak considerable damage. At its worst in 1924, 615 members of the District were in arrears for dues and 109 excluded. The next year - on April 25 1925, Burt Andrews (whose patent was dated 3 December 1924) was installed by RW Bro Sanders, District Grand Master, Natal, at Freemasons' Hall, Claim Street as the District Grand Master of the Transvaal. He led over 2 535 members in good standing in 57 lodges. After retirement as City Engineer in 1927, he remained a consultant to the City Engineering Department but having become District Grand Master in 1924 he was able to give special attention to his Freemasonry, where he is on record as being an ardent and consistent advocate of uniformity of ceremonial practice, based on `Emulation'. Also he insisted that lodges should complete labour and refreshment by 11 p.m., unless on exceptional occasions; and that it was the duty of the outgoing Master to install his predecessor and not the pre-rogative of the District Grand Master. And so, in three important aspects of Masonry, Burt Andrews set a pattern which the Transvaal has followed for the last 60 years. R W Bro Burt Andrews died on 3 November 1937. He had massed his estate with that of his wife and the income of the joint estate was bequeathed to her for life. Thereafter two-thirds of the estate was bequeathed to the District Grand Lodge as a trust fund for charity, and the capital amount stands at R50 000 in the District accounts to this day; a fitting memorial to a true freemason. 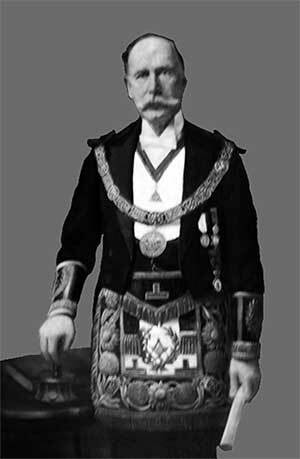 Charles Maple-Polmear was born in Devonshire in 1864, and was initiated and passed in Cotohele Lodge No 2166 in Calstock, Cornwall in 1890. He then went to Australia where he was raised in Charters Towers Lodge No 1546, in Queensland, in 1892. He made rapid masonic progress and was already a District officer before he came to South Africa with the Australia forces during the South African war. After the war he elected to remain in this country and settled in East London, where his masonic activities led to his being appointed District Grand Superintendent of Works in the Eastern Division. Moving to Johannesburg in about 1908, he joined Emrys Lodge No 3259 and made rapid progress in the Craft and Royal Arch Districts. 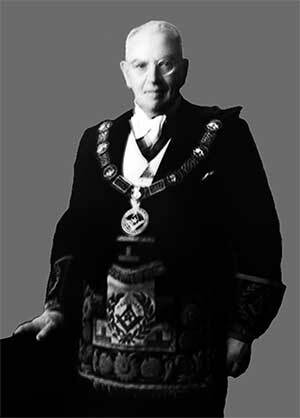 In particular his Craft offices included that of President of the Board of General Purposes for several years, prior to becoming Deputy District Grand Master in 1927, and in the Royal Arch he was Grand Superintendent for seven years before becoming, in addition, District Grand Master. Charles Maple-Polmear, was installed as the new District Grand Master on February 12 1938, by the District Grand Master, Central Division, R W Bro J van Praagh. The patent was dated from December 1 1937. Unquestionably his personal qualities included courage and determination. In November 1938, on his way to Schweizer Reneke with his Deputy and other members of his District team, Maple-Polmear was seriously injured when the car overturned as the result of a burst tyre. At a Special Meeting of the District on February 2 1939, his Deputy, Wilfred Henry Hulbert, told the Brethren the story of the accident. While he and others were uninjured, the District Grand Master was still confined to bed. Despite his injuries, Maple-Polmear left his bed to preside over the District Annual Meeting on April 29 1939. Hopes for the recovery of the District Grand Master were doomed to disappointment. Three weeks after that annual meeting Maple-Polmear died from his injuries. Hulbert was initiated in Kosmos Lodge No 2768 in 1917. His principal occupation was that of Manager of the Exchange Yard, a large organisation run by Rand Mines for making timber packs for use in the mines. A tribute to him given in his mother Lodge in 1949 refers to 'his deep interest in assisting those in distress, through his War Relief Fund', and his generous service in every high office he held; including being District Grand Master and Grand Superintendent - positions of high responsibility and dignity for which his personality and untiring energy made him so eminently suitable. He was installed as District Grand Master by the District Grand Master, Central Division, R W Bro J van Praagh on 26 August 1939. Despite his enthusiasm, Wilfred Hulbert had no illusions about the problems that lay ahead. In particular he knew that though his District would contribute to the war effort through both men and funds, this would be despite some division within the Order,as in the whole of South Africa, on whether the country should go to war against Hitler or not. Hulbert lived up to his reputation for intense zeal and decisive action. The month after war was declared he founded the District War Relief Fund and banned masonic banquets until after the war was over. He was 'quick to perceive and to impress on all concerned the challenge to the fraternity connoted by war, with particular reference to the opportunity afforded for exercising the virtue of charity on behalf of those of our brethren and/or their dependents who might be reduced to the lowest ebb of poverty and distress. The response was gratifying'. Against the vast background of the world conflict, the role played by the Transvaal District led by Hulbert may seem insignificant. But Hulbert was the prime mover in creating the District War Relief Fund and his success and popularity were illustrated when on April 24 1942, he retired as District Grand Master. 'Striking testimony was expressed to the wonderful work the District Grand Master had done for Transvaal Freemasonry generally' and as a mark of appreciation and particularly of his enthusiasm for the War Relief Fund, a collection was taken at the installation of his successor, Frederick Vernon Fairbrass, which realised £1050. Also 'the retiring District Grand Master was presented with a bound volume containing letters written by lodges and chapters in the District conveying their feelings regarding his retirement'. (District Commemorative Pamphlet 1895 - 1945.) Hulbert was to continue to support his successors for a number of years, and when his death was announced in 1959, the then District Grand Master, Jack Folly, was to say : 'Hulbert had no time for pettiness. He always thought big and had a big heart'. Two firsts were recorded when Frederick Vernon Fairbrass was installed by the retiring District Grand Master Hulbert on April 25 1942. It was the first time that a retiring District Grand Master in the Transvaal had installed his successor and Fairbrass was the first South African-born District Grand Master to head the Transvaal. 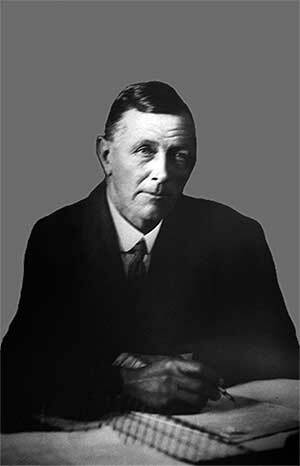 Fairbrass was born in Durban on October 21 1889 and educated at Durban high school. He moved to Johannesburg in 1907 and eventually became branch manager, for the Transvaal and Southern Rhodesia, of a life assurance company. He was initiated in The Lodge Apollo No 3437 on November 25 1922 and raised there in February 1923. He was appointed District Grand Master on January 26 1942, a position he held for eight momentous years which included the end of the World War and the return of those on active service to an atmosphere of hope for the future. At the annual meeting in May 1949 Fairbrass made the surprise announcement that at the end of the year he would retire and this would be his last year in office. He would be going to live on his farm at White River in the Lowveld. But he did not entirely leave Freemasonry for he became the Charter Master of the White River Lodge No. 7082. The District met in May 1950 to watch Fairbrass install his successor James Howard Vivian whose patent from Grand Lodge was dated February 1 1950. Born at Camborne, in Cornwall, in 1885, Vivian was educated at Queen's College in Taunton and at the Camborne School of Mines. He came to South Africa at the age of 21, entered the engineering field and eventually started his own business in general mining supplies, which proved most successful. He joined the Craft in 1924 when he was initiated in Corona Lodge No. 2731 in August of that year and was raised there in 1925. 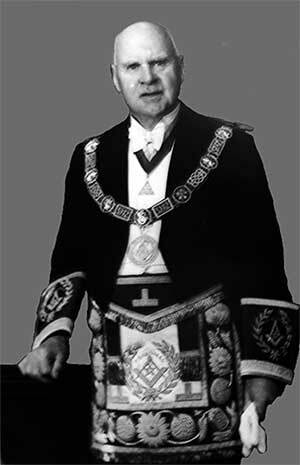 The unfortunate death of his wife in 1939 turned him more to the Craft and so Freemasonry became his major interest outside his business; and he exercised that interest to the full in quite outstanding service to the Order. But Vivian did not rise to his position through the usual route of Assistant to Deputy District Grand Master and thence upwards. He had served long and faithfully on the Board of General Purposes of the District and was promoted President eventually and from there to District Grand Master, evidence of his leadership qualities. Vivian acquired, in 1947, the Clarendon Circle site on behalf of the District. In his new position of authority, he continued to press for this new home for English Freemasonry in the Transvaal, a new building which would however serve as a home for the sister constitutions, on a tenancy basis, if necessary. He spoke of this dream at his first annual meeting a year after his installation, making it clear that the English, Irish, Scottish and Netherlandic constitutions would all be able to meet at the planned combined centre for Freemasonry at Clarendon Circle. Unfortunately Vivian did not live to see the completion of the building into which he had put so much energy and initiative but he was present on February 14 1954 when the Assistant Grand Master RW Bro Major General Sir Allan Adair, who was on a strenuous tour of South West Africa, the Union and Rhodesias, laid the foundation stone of the new building. Vivian was pleased to report to the Assistant Grand Master the phenomenal growth of English Freemasonry in his District. Membership had stood at 3 598 in 1949. This had increased by the next year by nearly 500 and now, he said proudly, had topped the 5 000 mark, in fact 5 148. In 1955 Vivian suffered a sudden illness which forced him to enter a nursing home for an operation. It was unsuccessful and he died. The tributes were many at the Annual Meeting in May of that same year, Deputy District Grand Master John Gerald Folly said Vivian had been the prime mover of building the Freemasons 'Hall. W S McAdam had retired as Deputy District Grand Master in 1954 but `so sudden was the shock of Vivian's death that the brethren pleaded with him to return as a stopgap District Grand Master'. McAdam was already elderly after a lifetime on the gold mines. Indeed, (born in 1883) he had been initiated in Premier Diamond Lodge No. 3172 in 1907, 48 years before becoming District Grand Master. At his installation at a special meeting on September 24 1955 he said: 'when I gave up the post of Deputy District Grand Master in 1954 I hoped that my active career as a senior officer had ended. To my surprise and indeed consternation the call came to me to succeed Brother Vivian. I resisted but without avail. I was practically the last resort'. He was invested in his new office by past District Grand Master Fairbrass. McAdam thanked Deputy District Grand Master John Gerald Folly for taking charge of the District for five months after Vivian's death, leaving the office of District Grand Master vacant. The Board of General Purposes informed the meeting that 1955 was the Diamond Jubilee year of the District. In 1895 there had been 12 pioneering lodges, now there were 86. Membership had reached 5247. 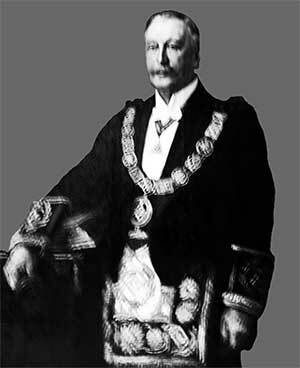 `The most noteworthy visible achievement of the past two years has been the erection of our stately and dignified Freemasons' Hall' said McAdam when he gave up his post on May 11 1957, two years after being invested. It was his privilege to dedicate the hall in the presence of some 1 200 brethren on April 27 that year. 'This great project representing 12 years of effort, commemorating the Jubilee of the District, is a tribute to the generosity both of individual members and of lodges and chapters'. Continuing the Transvaal sequence of retiring District Grand Masters installing their successors, McAdam installed John Gerald Folly, the Deputy District Grand Master, as head of the Transvaal District at that same meeting of May 11 1957. Bro McAdam died in 1964, when his successor, Jack Folly, said of him: `Words fail to do justice to the tribute of this great mason - one of the GREATS of all time; and what made him great was his kindliness and humility'. John Gerald (Jack) Folly was born in Johannesburg on 12 October 1903. He was only 23 when he was initiated into Woodlands Lodge No. 3668 but although Freemasonry became a dominant interest in his life, he played his part in the Second World War, when he became officer-in-charge of the Civic Guard for Johannesburg, with a rank equivalent to colonel. He was appointed a Justice of the Peace at the relatively early age of 35. 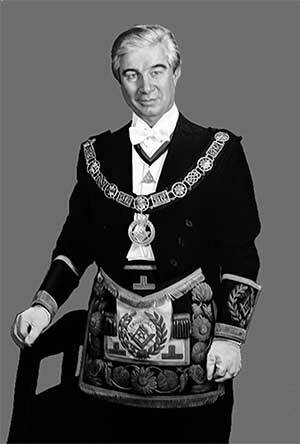 In 1967 Bro Folly represented the Transvaal on a very important occasion in England, the 250th anniversary of the foundation of Grand Lodge in 1717, which was coupled with the installation of the new Grand Master, MW Bro the Duke of Kent. 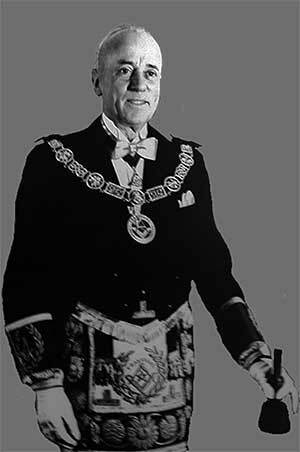 Also during a visit to London in 1965 Jack Folly attended the Quarterly Communication of Grand Lodge in June and had the remarkable (and probably unique) experience for a District Grand Master of occupying the Grand Master's throne for about an hour while the meeting awaited the arrival of the Grand Master. This was to become a treasured memory! 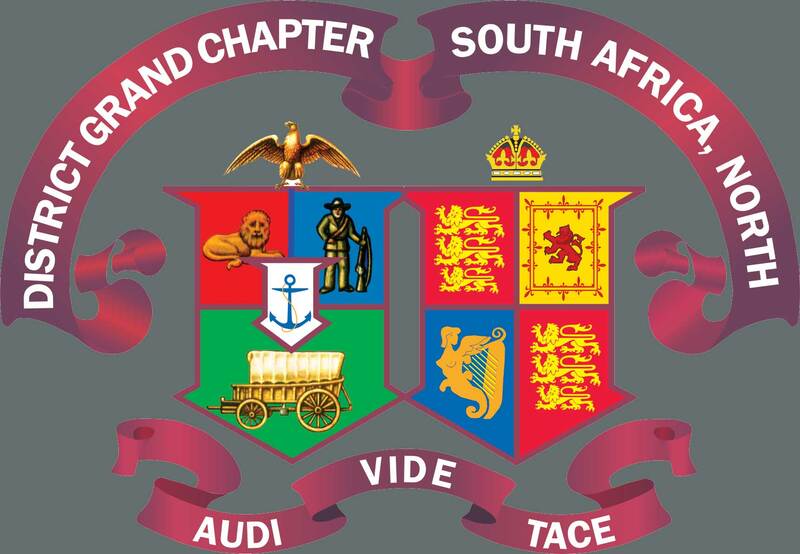 In addition to being District Grand Master and Grand Superintendent Jack Folly was, for three years, the Inspector General 33° for South Africa Northern under the Ancient and Accepted Rite. Jack Folly had been an outstanding Director of Ceremonies of the District and as District Grand Master he strove for consistency and high quality of performance. This concern for quality no doubt influenced him to encourage the formation of the Transvaal District Grand Stewards Lodge, which was consecrated on 8 December 1967 as a service lodge and as such, provides both functional support and demonstration workings. Jack Folly died on 24 October 1968 which brought great sorrow to his Brethren. Born in 1901 in London, he qualified as a chartered accountant (taking first place in the final examination of the English Institute) and obtained his LLB degree in 1940. Coming on a business visit to South Africa after the war, he was attracted to this country and returned to emigrate with his family in 1950. He took a job in Johannesburg but his real interest lay with Freemasonry. He was already a grand officer before he came to South Africa and he brought with him a wealth of masonic experience which enriched his contribution during his 13 years of 'Chain' office in the Transvaal. Leslie Wheal had the honour of being installed District Grand Master of the Transvaal by the Assistant Grand Master of English Freemasonry, RW Bro Major-General Sir Allan Adair. The patent was dated November 13 1968. The colourful ceremony was held at the Simon Kuper Hall on February 22 1969. He became ill shortly after Jack Folly's death, it was at first hoped that this could be attributed to the suspense associated with such occasions and the strain of all the arrangements to be made including his installation by the Assistant Grand Master. But the illness proved to be very serious and he had to force himself out of his sickbed to don his full masonic regalia to pose for a photograph to be used for his portrait, to be hung with the rest of the District Grand Masters in Freemasons' Hall. Leslie Hinett was born at Kibworth Harcourt, in Leicestershire, on 16 April 1908. He went to school at Tufnell Park in London and his reports show him to have been a most attentive scholar. Although best qualified in engineering, he tried many things in his post-school days, and was most successful as a salesman in Scotland. He followed his father in taking a keen interest in the work of the St. John Ambulance Association. During the Second World War he was a mechanic in the Royal Air Force. An accident almost cost him his eyesight - indeed he was blind for four months - and an injury to his left lung was to trouble him for the rest of his life. He came to South Africa in 1946, largely because his respect for General Smuts convinced him that this country had a great future. Leslie Hinett was installed as District Grand Master in the City Hall, Johannesburg, on 4 October, 1969, by R W Bro Captain A J Thompson, MBE, District Grand Master of Rhodesia. His one surviving predecessor, RW Bro Vernon Fairbrass, was present and opened the meeting before handing over to the Installing Officer. Leslie Hinett was no extrovert. On the contrary, he was by nature a quiet, unassuming man, perhaps somewhat reserved in communication, but he was a good listener and no brother spoke to him without receiving his full attention. While he was not an easy man to know, he was a totally dedicated Freemason, who made his own mark on the history of our Order in the Transvaal. He died at the Masonic Haven in Pretoria on 16 January 1988. Edward Thomas Ablett was born in South Shields, Durham on 26 January 1918. He took a Bachelor of Science degree, with honours in Chemistry at Durham University and followed this by obtaining a Diploma in Education. He became a mason in Westoe Lodge No 4750, in South Shields in 1939, and after coming to South Africa joined Roodepoort Lodge No 2539, where he went through the chair in 1953/4. His keenness and ability must have impressed, for a year later, he was appointed a District Grand Steward. Jack Folly appointed him Assistant District Grand Master in 1967, and he was Leslie Hinett's Deputy throughout the latter 's term of office. So his total period in "chain" offices was to be 22 years. When Leslie Hinett resigned in 1978, Ted Ablett was installed as District Grand Master on 30 September of that year by R W Bro Dr Bernard Armitage, the District Grand Master of Natal. The Heritage Appeal Fund was launched by Ted Ablett as one of his first actions after being installed as District Grand Master. By 1989 it had reached some R900 000, of which over R180 000 was employed in loans to lodge building schemes throughout the District, while the income was expended in grants for various masonic purposes, including in particular contributions to the ever-increasing costs of maintaining Freemasons' Hall in Parktown. Having been District Grand Master for ten years, Ted Ablett resigned in 1989 and the District was delighted that the Assistant Grand Master, RW Bro the Rt Hon Lord Farnham (with an Installation team which included the Grand Secretary and the Grand and Deputy Grand Directors of Ceremonies) was able to visit the Transvaal to install the new District Grand Master and Grand Superintendent, Merton Sidney Freeman, on 1st July 1989 at the Great Hall of Witwatersrand University. Merton Freeman was born in 1920 at Kingston-on-Thames, Surrey. He was educated in nearby Surbiton, and from 1939 to 1946, served with the RAF Bomber Command. (He had learned to fly at Ford in Sussex three years earlier, and remained a licensed pilot 57 years later.) In 1948 he emigrated to South Africa, where he married Lila five years later. Merton Freeman was initiated into Freemasonry in Transvaal Jubilee Lodge No. 6143 in 1953, and became the Master (for two years) from 1960 to 1962. By 1963 he held District office and senior appointments followed: Director of Ceremonies 1967, Senior Warden 1970, Assistant District Grand Master 1973 and Deputy from 1981. The Assistant Grand Master, RW Bro the Rt Hon Lord Farnham, came to South Africa to install R W Bro Merton Freeman as District Grand Master and Grand Superintendent of the Royal Arch, on 1 July 1989. This was only the second time, in 100 years, that a District Grand Master had been installed by an Assistant Grand Master, the previous occasion being the installation of RW Bro Leslie Wheal by RW Bro Sir Allan Adair in February 1969. By April 1994 all seemed set for the smooth installation of the new District Grand Master and Grand Superintendent, but it was not to be so easy, as Merton Freeman - inveterate two-wheeler that he was - set out on a Sunday morning test of a new motor cycle, and met with a very severe accident. It was touch and go whether he would be able to install his successor but he was determined to do so, at least in the Craft, and the warmth of his reception at the District Annual General meeting (on June 4) must have been some compensation for the great effort he made to be present to carry out his last duty as District Grand Master. Gerald Fotinakis was born in Johannesburg in 1939 and matriculated at Jeppe High School in 1957. Gerald Fotinakis's masonic career commenced in Orphic Lodge No 5949 in 1962 where he went through the chair nine years later. His first District appointment was as District Grand Steward in 1975 and this led to his joining the Transvaal District Grand Stewards' Lodge, where he was the Master in 1982/3. In the meantime he had become District Grand Treasurer in 1979 and held this important position until 1987, when he was appointed Assistant District Grand Master by RW Bro Ted Ablett. RW Bro Merton Freeman appointed him as his Deputy in 1989. He was installed as District Grand Master at the Witwatersrand University great hall on 4th June 1994. Gerald Fotinakis combined an eight year involvement (as District Grand Treasurer) in District administration with seven years of active contact, as a 'Chain', with lodges and brethren throughout the District. Add to this an undoubted capacity - even a liking! - for hard work and we saw an active and progressive term of office. Gerald Fotinakis retired from Office on 17 April 2010 when the Pro Grand Master M. W. Bro Peter Lowndes visited South Africa to Install V. W. Bro. Prof. Guy Charlesworth as District Grand Master. A unique aspect of this visit was that the dust cloud from the eruption of the Eyjafjallajökull volcano in Iceland shut down all commercial flights in and out of England which prevented the Grand Director of Ceremonies from flying out for the Ceremony. Our own District Grand Director of Ceremonies, W Bro Chris van Gaalen, stepped into the breach and handled the ceremony with aplomb.